You're about halfway through your run, and right when the endorphins are kicking in, you feel a stabbing pain in your upper abdomen. Something like this happens to most runners at one time or another, but when it becomes a common occurrence, it's probably time for a closer look. Abdominal pain is a common problem for runners. There are several possible causes, some of them preventable, and some may signal a more serious underlying issue. A side stitch is a sharp, jabbing pain that often occurs during exercise, particularly for runners and swimmers. In clinical terms, this is known as Exercise-Related Transient Abdominal Pain, or ETAP. While it's nothing serious, the pain is frustrating and can cause you to curtail your run. There are different theories about what causes the side stitch, including lack of blood flow to the diaphragm and stress to the membrane that encases the abdominal cavity. More recent theories revolve around nerves in the thoracic spine. It is also possible that the pain is a spasm in the diaphragm caused by reduced oxygen flow to that organ. Yet another theory attributes the stitch to irritation of the ligaments that support the liver. Runner's stitch is kind of like the hiccups in that everybody's got their own cure, which for many may just be waiting for it to go away. The American Council on Exercise suggests avoiding full meals for no less than 3 hours before you run. However, it is a good idea to have a light snack of an easily digested carbohydrate — a slice of whole grain bread or a banana, for instance — a half hour before you run if you haven't eaten anything for 3 hours prior. When the stitch occurs, slowing your pace may help cause it to pass. You also may find that avoiding carbonated drinks can diminish the problem. Whatever's causing the pain, it usually subsidize a short time after you stop running. Simply massaging the painful area may bring relief. You might also try stretching your right arm above your head. Almost everyone experiences acid reflux at one time or another. It occurs when acidic digestive liquids from the stomach leak through the muscular barrier that separates the stomach from the esophagus. If that muscular band is weakened and fails to form a tight seal, the impact of running may cause the acidic juices to splash up into your esophagus, throat and mouth. In its chronic and severe form, acid reflux is known as Gastroesophageal Reflux Disease, or GERD. The acid can and does irritate the esophageal lining and can sometimes aggravate peripheral nerves around the esophagus, triggering pain that can radiate throughout the rib cage and into the back. GERD is treated with acid-neutralizing drugs that are available over the counter but may be prescribed at higher doses by physicians. 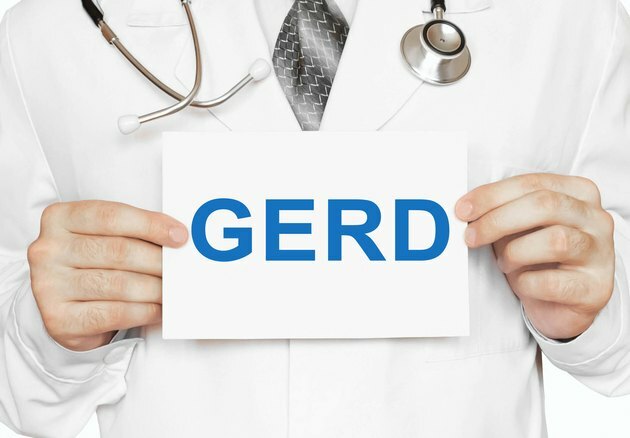 If you think GERD is causing your problems, you should consult your doctor. Other causes of upper abdominal pain — particularly in the right quadrant —include problems with the gall bladder, liver and the lower globe of the right lung, in addition to certain intestinal or kidney conditions. If you suspect any of these issues may be in play, it's definitely time to consult a physician. ACE: What should I eat before, during and after my workout? What Makes Your Side Hurt While Running?